Discussion in 'Transformers Toy Discussion' started by VSpec, Jul 23, 2010.
so i'm trying to sell a couple Go-Bots and have no idea what they're worth, if anything. 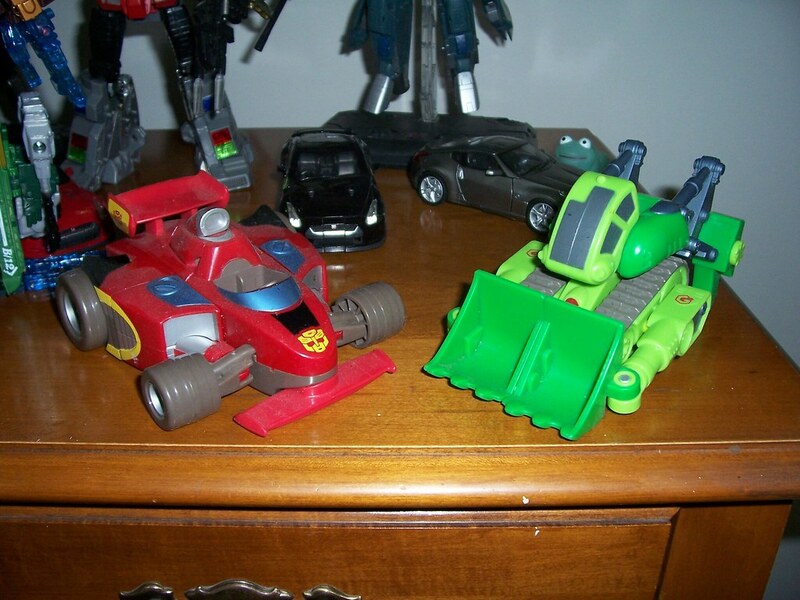 I believe their names are Speed-Bot 2 (red F1 car with electronics) and Scrap-Bot (green bulldozer). Any help would be appreciated. I'll have pics up soon. Not even that much. 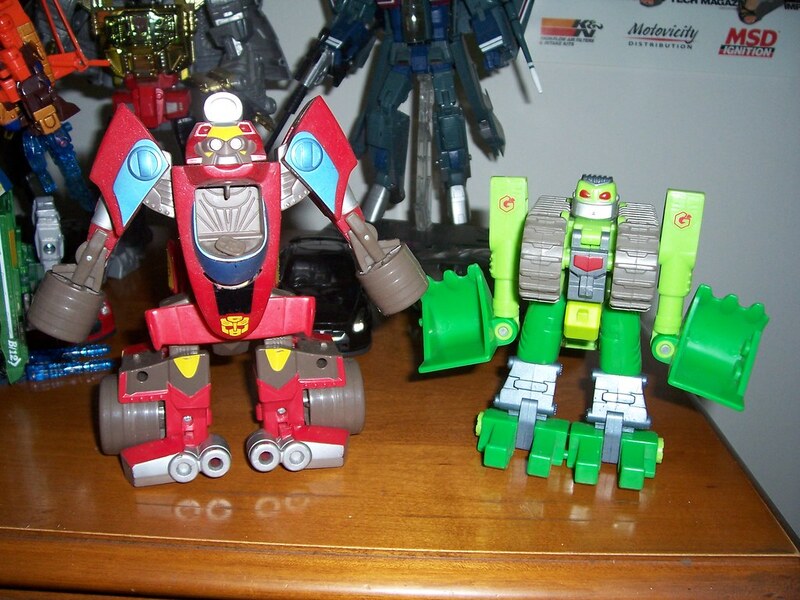 Playskool Gobots, especially the more common ones like these, are essentially worthless. You can expect to have a hard time getting someone to pay even $1 for them. I've seen lots with 10-15 of them go for $5-10, total. It's a shame; my kids had a few when they were younger and I thought they were pretty cool for what they were, but there's just no demand whatsoever for them. I'd suggest you just donate them to Goodwill or something like that if you don't want them anymore. Some of them also go for quite a bit of money. It was a year or two ago, but tracking down the Speedbot painted like mirage with the 26 painted on him cost me $35 loose. Pretty much this. I sometimes pick them up from car boot sales for as little as 10p each. Eh, I traded one of mine for a G2 Megatron, so some of them have to be worth something to some people. i actually have 2 ppl interested in them on another board. i just didn't know what to ask for em.